Photo by Colonel Warden/Wikimedia Commons under Creative Commons license. A Chenrezig Sand Mandala created and exhibited at the House of Commons, UK, on the occasion of the visit of the Dalai Lama on May 21, 2008. This Friday at 7:33 pm EST we have a Full Moon in Leo (with the Sun in Aquarius). But this is not just any Full Moon; it is also a penumbral eclipse. And it’s an eclipse whose chart is beautifully illustrating our collective moment. I say this because this opposition of the Sun and Moon is making almost a mandala of aspects. When I printed out the chart and circled the major points in aspect to the Sun and Moon, the impression I got was one of balanced factors all converging on a center point. Of course, that center point is you. And while some of the aspects to the Full Moon indicate harmony and flow, others suggest a kind of uncomfortable process of continual adjustment. When you put those two types of energy together it can equal some actual progress and movement. Yet those energies need to be actualized somehow. In other words, the key is for you to be aware enough to engage actively with the representative situations in your life—both personal and collective. Having the Moon near its own North Node (a hypothetical point related to its orbit) tells us that this idea of intentional engagement is a hallmark of this eclipse: North Node eclipses relate to dharma, or to moving forward along your soul’s path of development. In other words, it’s time to step up. But step up into what? From what I can tell, it looks like this Full Moon eclipse is offering a boost along a path that many people are already traveling. The most notable aspect the Sun and Moon are making is to the Uranus-Eris conjunction in Aries. For the Moon this is a trine (fire to fire), and for the Sun this is a sextile (air to fire). Both trines and sextiles indicate harmony and flow, though one is more ‘received’ and the other asks to be ‘initiated’. But the crucial part about this configuration is that the Uranus-Eris conjunction is the emblem of the phenomenon we’re been living in this whole last year: that ‘anything can happen’, and frequently it does. Even if you’ve never been terribly political, all of a sudden that realm seems inescapable—thanks to things like social media and smartphones, which themselves relate directly to Uranus and Eris in Aries. The turning inside-out of identity; the way mass consciousness can become instantly polarized; a President who takes to Twitter and eschews press conferences; mobilization of "revolutionary" movements on both the Right and the Left; all of these things can be connected to Eris and Uranus in Aries. With an eclipse directly aspecting that era-defining conjunction, we slide directly into the slipstream. Yet it’s not quite like a simple playground slide, because of all the other planets involved in the pattern. It’s also worth noting a couple of ways the Full Moon itself can be read. Taking one view, we have an image of individual drama and pride facing off against an innovative, humanitarian response to collective awareness. Another take is one of compassionate, intuitive service lighting up in response to what had become a rigid and crystallized consciousness. Or you can mix and match those factors. Either way, the real question is where you see yourself in those dynamics—both in your personal, individual interactions, and in terms of how you’re positioned in relation to the larger social environment. I think what the other factors in this chart describe, taken together, amounts to processes that many people are engaged in already. What’s nice about this is that, as mentioned, this Full Moon eclipse could be more like a boost rather than some kind of dramatic on/off switch. Yet if you have not quite engaged with prevailing social movements, the effect could be more noticeable. 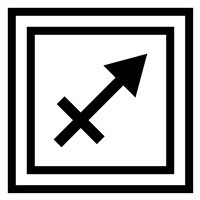 Also making a trine and sextile to the Sun and Moon (respectively)—is Jupiter in Libra, currently retrograde (and opposite Uranus-Eris). In the face of all the insanity and upset, Jupiter here is offering some benefit to all the work you’re doing. On one level, it looks like enhanced intuition, outlook and health. More importantly, it’s an emblem of generosity that dovetails beautifully with the more compassionate and humanitarian readings of the Sun and Moon. Retrograde, Jupiter could indicate a review of ways you’ve been "generous" with yourself (whether with self-care, or through over-indulgence). Culturally, a review of "justice" also seems to fit the bill. Although Saturn in Sagittarius is a couple of degrees off, it, too, is making those harmonious sextile and trine aspects to the Sun and Moon. This brings a well-directed drive and willingness to work—a sense of duty—into the picture. Since Saturn is also conjunct the Galactic Center, it brings our "cosmic homing signal" (and whatever message it carries) into the work you’ll be taking up at this time. If you can step back from dogma and get your feelings in line with some common sense, you might be entering a very productive phase. Finally, two bodies are making rather inharmonious aspects to the Sun and Moon: Vesta in Cancer, and Chiron in Pisces. Each is making what is called a quincunx to the luminary on the opposite side of the zodiac. Quincunxes are one sign off from an opposition. They can be challenging because they ask us to continually adjust, without ever letting us get comfortable. This is actually very useful, if you can hang in there. Vesta speaks to the need to keep adjusting the devotion/sacrifice/caring/self-care pieces of the puzzle. Again, this seems to be something many people are already discovering: if you launch headlong into devotion to social activism, you can end up feeling like you’ve sacrificed too much of yourself to feel healthy. So you keep checking in with yourself, alternating self-care with caring for others. Chiron in Pisces speaks to the need to keep adjusting the awareness/healing piece. Your emotions and intuition constantly give you information about what needs to be addressed so you can move forward. Sometimes you listen; sometimes you act on what you’ve heard. And with each step in your healing process, you emerge into the next stage. Rarely is this a linear process; it’s okay if you feel like you’ve spiraled back to address an inner issue again. Yet chances are the issue is in a slightly different form this time; and as you figure it out, you’ll move a little further along the path. Finally, remember that eclipses come in pairs. If Friday’s Full Moon and eclipse is about stepping up, in two weeks we’ll get a New Moon solar eclipse that may be more about releasing what you no longer need. In between, you have an opportunity to shift your life in some way. To be sure you’re shifting it toward positive patterns, over the next few days see if you can focus on doing things you truly love and that hold strong meaning for you. After all: the more you come alive, the more you have to offer.